Built in 1897 as W. H. Brown at F. W. Wheeler Co., West Bay City, MI. 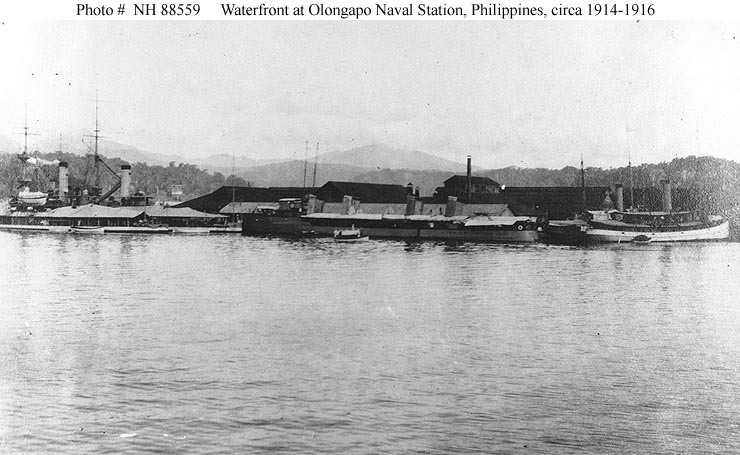 Decommissioned, 10 April 1922, at Cavite, P.I. 59k The American commercial tug W.H. 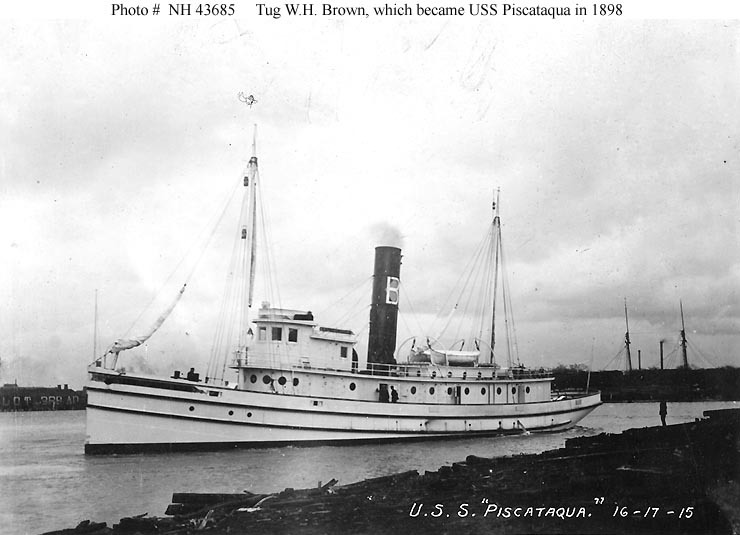 Brown, underway, circa 1897 or 1898 prior to entering Naval service as Piscataqua. 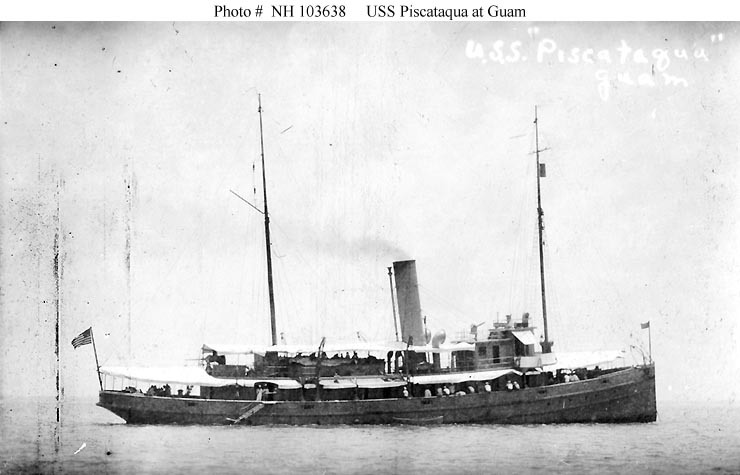 37k USS Piscataqua underway. Fine screen halftone reproduction of a photograph taken in 1899. Copied from "The New Navy of the United States", by N.L. Stebbins, (New York, 1912). Donation of David Shadell. 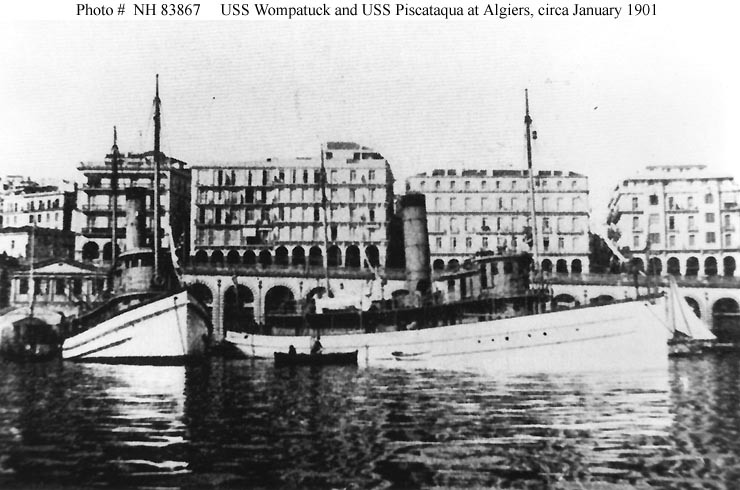 80k USS Piscataqua at right and USS Wompatuck, at left, at Algiers, Algeria, circa January 1901, while en route from the U.S. to the Philippines. The original print was a halftoned image. Photo courtesy of Donald M. McPherson, 1975. 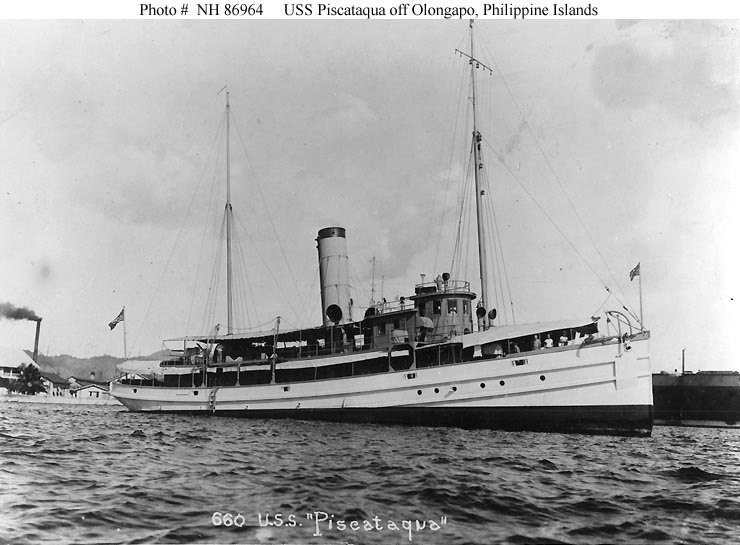 71k USS Piscataqua off Olongapo Naval Station, Philippine Islands, prior to 1920. Photo courtesy of Donald M. McPherson, 1978. 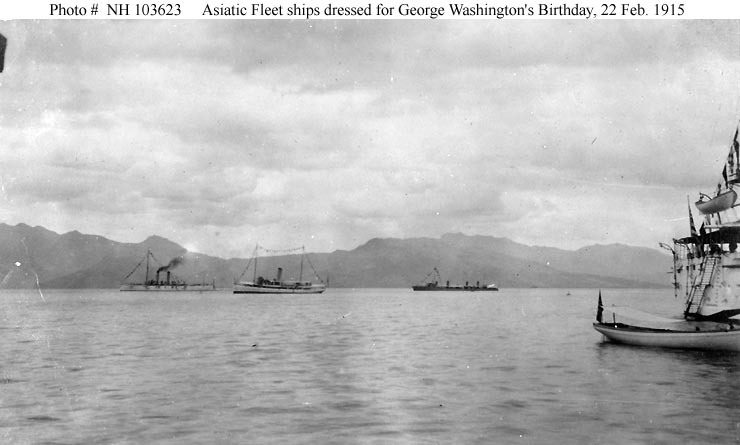 53k USS Piscataqua at Guam, circa the 1910s. The original image was printed on postal card ("AZO") stock. The reverse of the original card bears the inscription "Joe Chapman was on this ship going to Guam W.W. I". Donation of Dr. Mark Kulikowski, 2006. Collection of C.A. Shively, 1978. USS Dale (Destroyer # 4). From the collection of C.A. Shively. 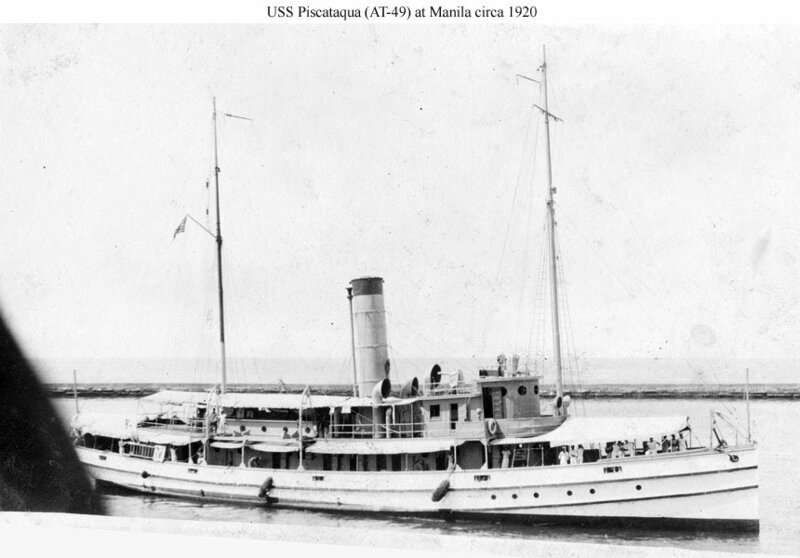 82k USS Piscataqua at Manila, Philippine Islands, circa 1920.